It has always been a difficult proposition for employers to track work hours spent who generally works from a far off place or prefers work from home. 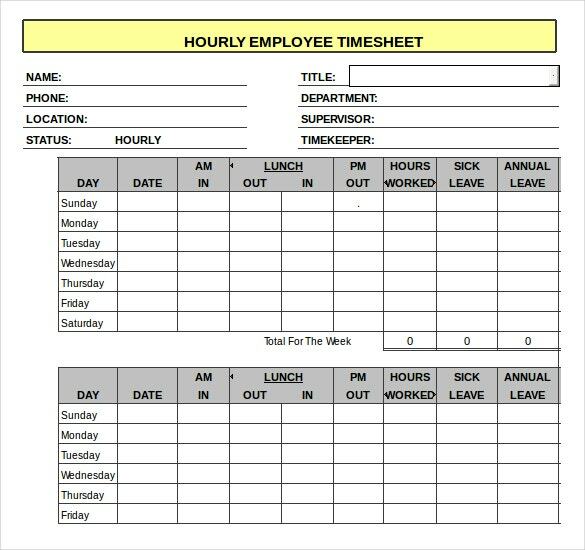 An Hourly Timesheet Template will be a great idea to help companies in keeping track of the working hours spent by the personnel in their field of work. 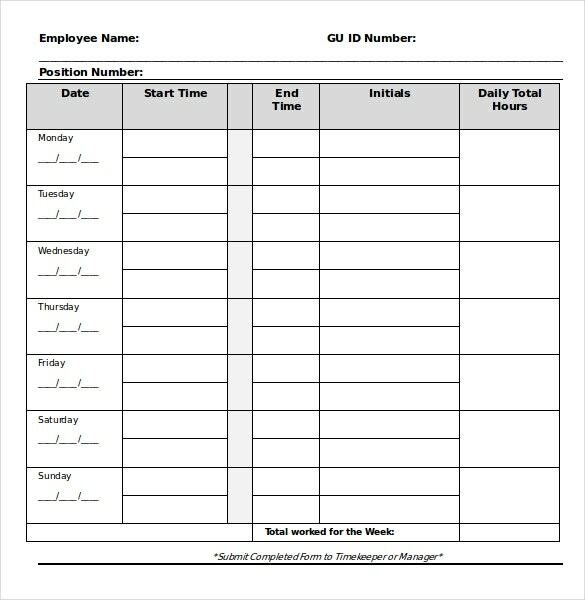 You can see also Bi weekly timesheet templates. 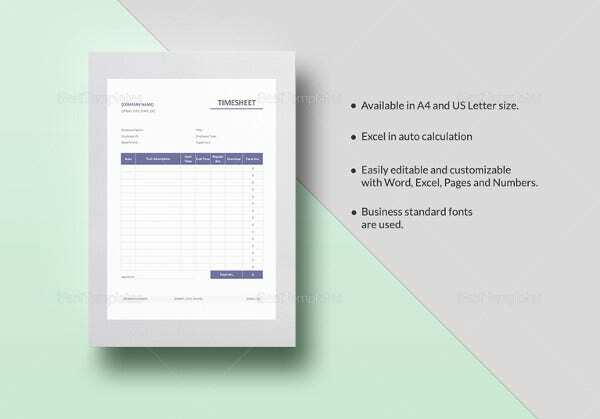 Install portable spreadsheet templates in any format on your personal laptop which will automatically update your work schedules as soon as you start working and shuts down that easily. 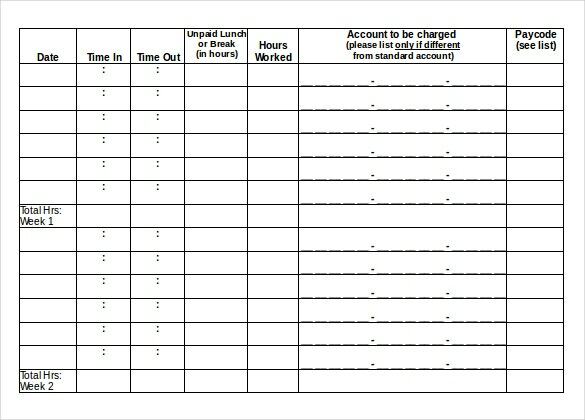 Check out the sample examples of the timesheet template offering a detail breakdown of a particular hour so that the employees would be able to accurately account for partial work hours. 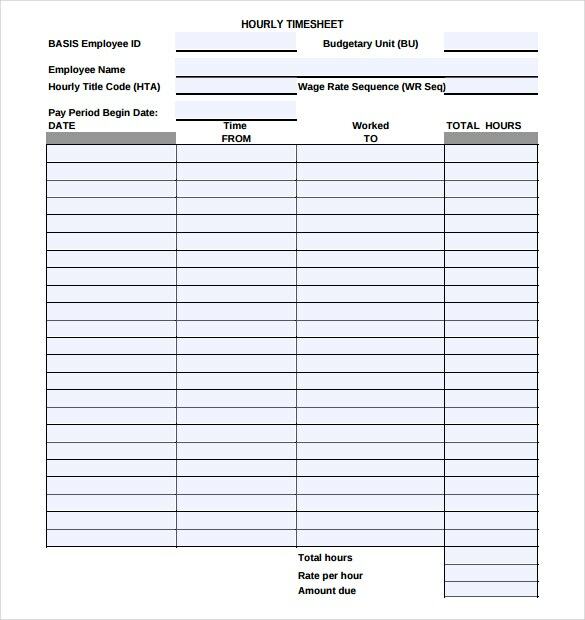 Hourly timesheets are used for jobs that are paid on an hourly basis. 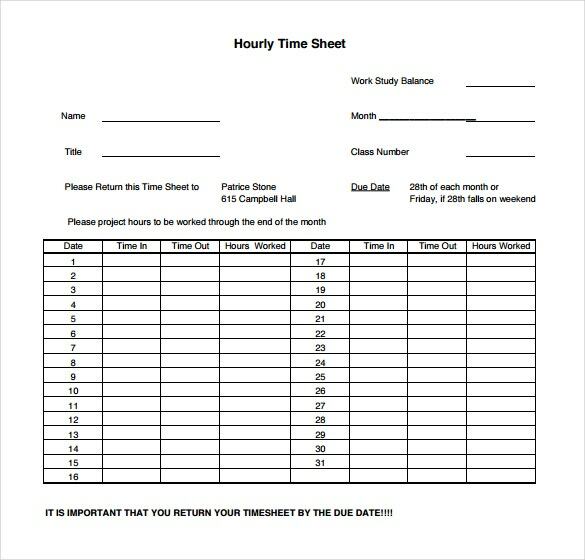 This type time sheet can also be used for seminars or workshops that records the time the participants to the event were present for. 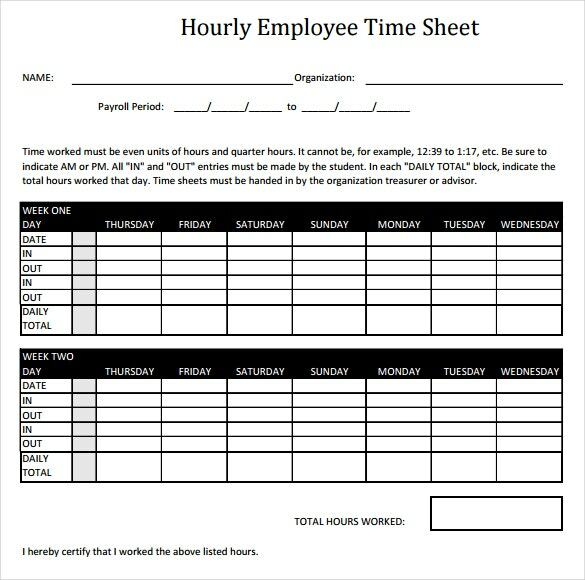 The hourly timesheet is highly is computing the salary of the workers based on the number of hours they have worked. 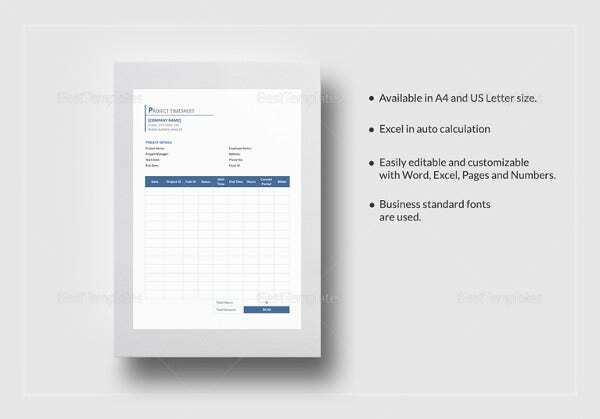 Our hourly timesheet templates have been created by experts and are available in Word, Excel and PDF formats. 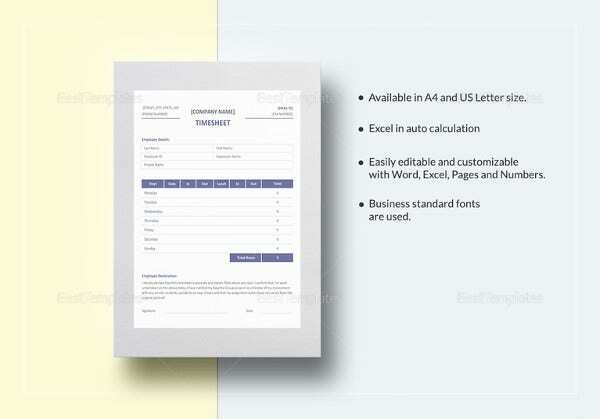 You can see also sheet templates. 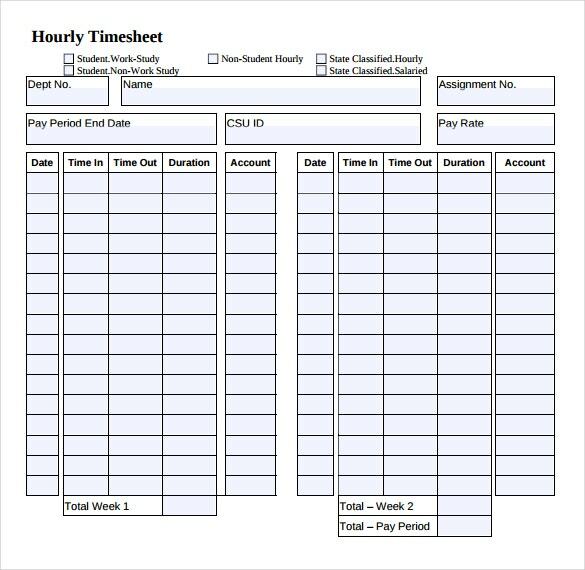 Hourly timesheets are used in two types of industries for completely different purposes, but while doing so they voluntarily fulfil another purpose that is not exactly aimed at by the certain company thus making their utility more than one hundred percent in regards of calculating time and measuring the amount of work done. 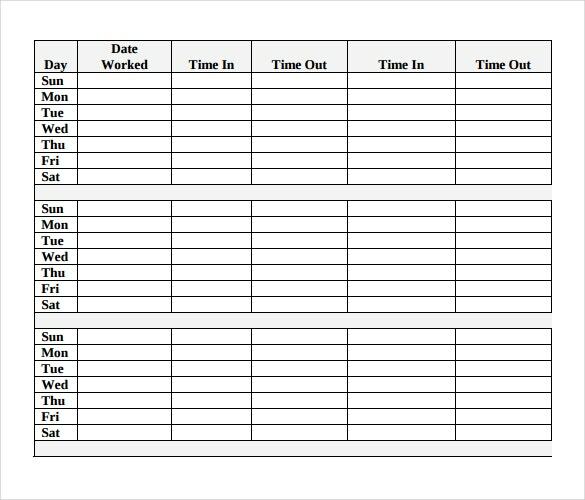 Hourly timesheets are required for the purpose of calculating the work done by the workers per hour. This is generally done in very small scale industries. Industries that create hand—painted or hand-crafted materials may tend to use hourly timesheets because they are befitting for both the owner and the employees in this case. 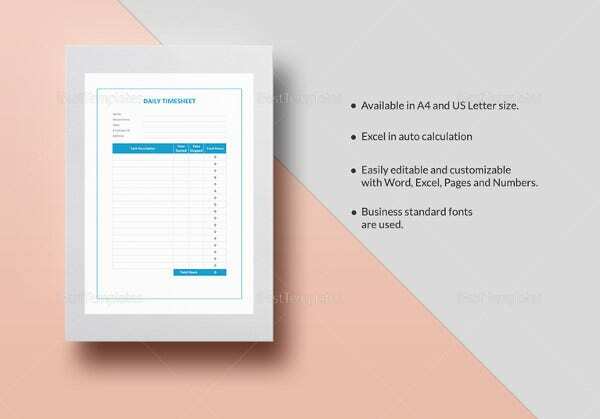 you can see also data sheet templates. Since handicraft businesses are generally mostly carried out in cottage industries, the owners are inevitably not exactly rich enough to meet all the requirements of the workers. 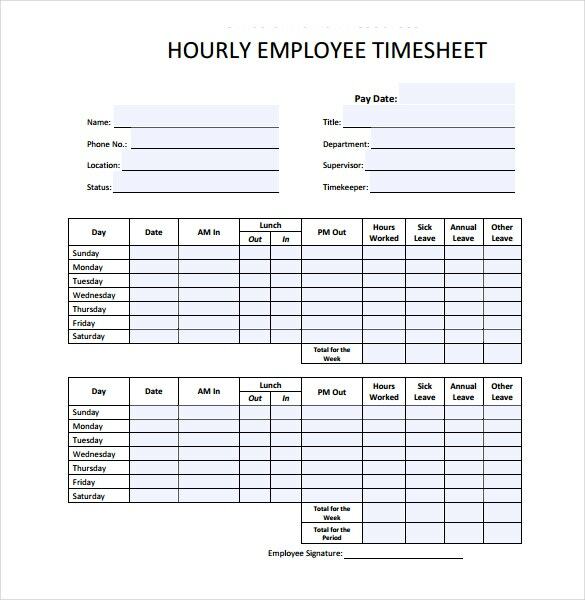 In such cases hourly timesheets work wonderfully because calculating the hours that the employees work for, the owner can pay them accordingly. Further these are in favour of the workers too because they get paid for every moment that they work and it makes them feel more fulfilling. Then again, hourly timesheets are also used in foundries and machine shops in order to understand the total productivity of the unit per hour. Sometimes they are used to find out the total time that is required to produce a certain type of casting or machine a certain type of job. 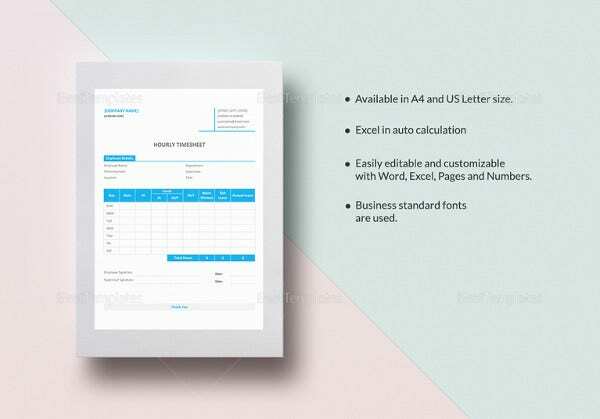 This is very important for the company in order to check its strengths and weaknesses and hourly-timesheets assist the company in determining these in a very good manner. 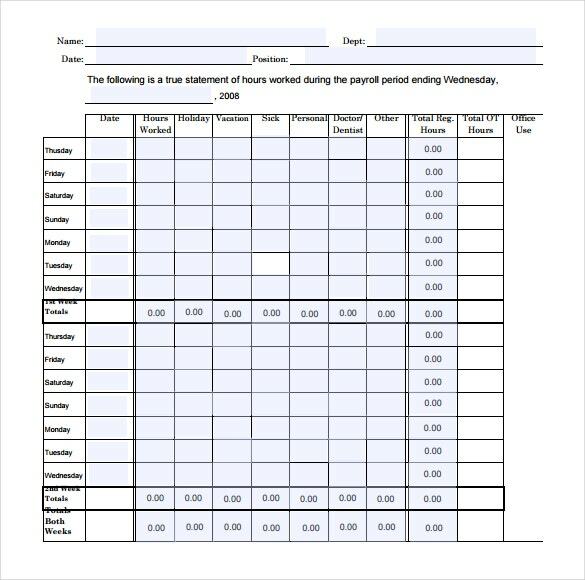 Hourly timesheets are a little complicated to create however they are worth the time spent on them because further, they save more of it for you by telling you exactly how much time your workers expend on which activity. 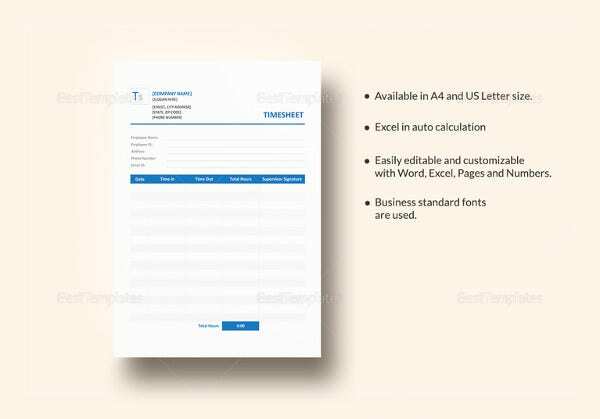 These timesheets are basically made to the most detailed form and therefore do not need any customization so all you are required to do is download the word, PDF or excel format of the timesheet and use it. You can see also term sheet templates. 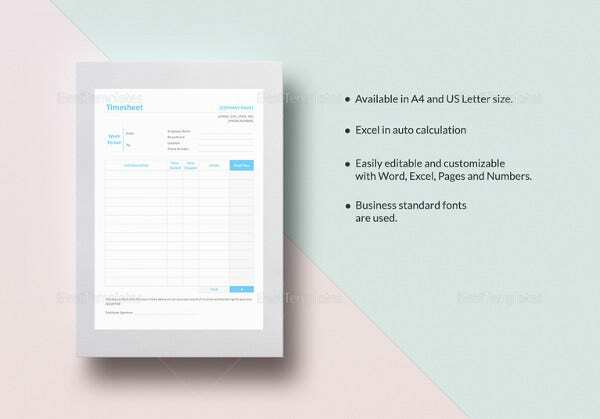 There are a very few dos and don’ts in the case of hourly timesheets because the experts have created them so well and so much to perfection that they don’t need any kind of touch-up or extra work to be done on them. 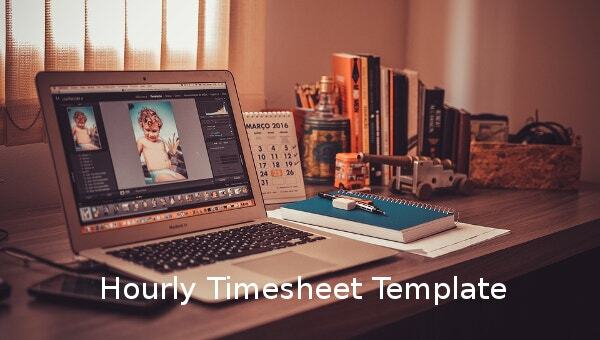 The hourly timesheet template saves time by providing the users the basic structure to work on and that reduces a lot of hard work. 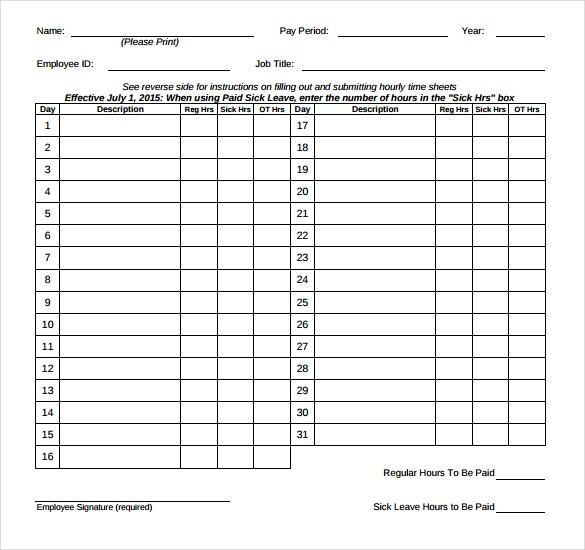 You can see also call sheet templates.